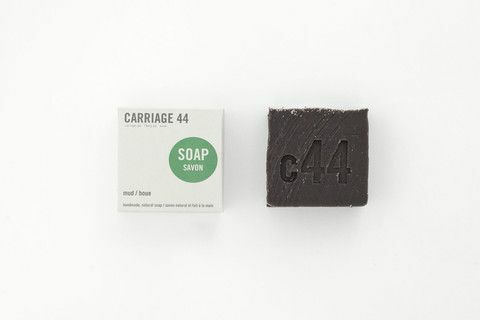 Carriage 44 caught my eye right away with beautiful clean packaging, natural products, and of course the fact that they are from right here in Montreal. Of course I had to find out more! 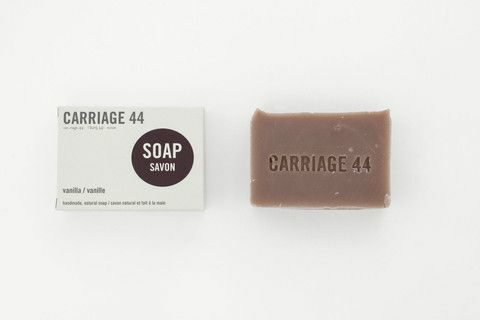 Turns out Carriage 44 is a husband and wife team made up of Oliver and Hannah Stenberg who make all their products locally out of Montreal. She’s British and he’s Canadian (originally from Victoria, BC). Prior to living in Montreal they were living in London, UK (hello! sounds familiar!). They’ve been making their products for 3-4 years but have only really gone ahead with moving the business forward over the last 18 months during which they’ve had a cute little baby girl. I got in contact with them and they kindly sent me a few samples including No. 1 soap (their signature scent with bamboo charcoal, black pepper and ylang yang), Rose Soap and Pure Shea Butter. I loved the No. 1 soap which is black and is such a unique smell for soap – it almost leaves you craving more. The rose soap is so pretty with little rose petals on top and it smells divine! And the Pure Shea Butter is so thick and almost fluffy. It’s super rich so a little goes a long way and it’s been doing wonders for my dry hands. Oliver & Hannah kindly agreed to answer a few questions I was longing to find the answers to! How did you get into the soap making business? Oliver: The initial inspiration to look into making soap was from more of a design perspective than an actual soap making perspective. Both of us have design backgrounds and we were always drawn to products that were both well designed and environmentally friendly or natural/chemical free. About four years ago, we were brainstorming and realized that there were not many bath and beauty products that were handmade/natural as well as well branded. So, we decided to look into things a bit more and sought out someone who could teach us how to make traditional, handmade natural soap. Once we had the foundation, we (my mom mainly) began researching ingredients, benefits of essential oils and recipes, and started to develop our bars of soap. 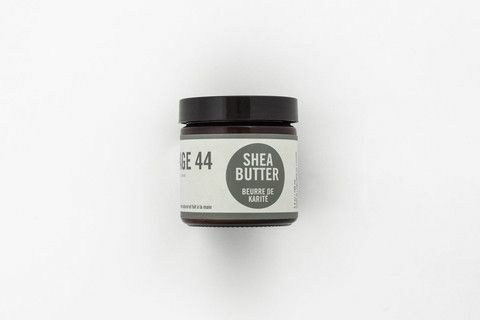 Once we were confident with those, we slowly started developing recipes for our shea butters, lip balm and candles…adding about a product line per year since the beginning. Oliver: The name, Carriage 44, comes from the idea of counting the cars/carriages on freight trains. We wanted a fairly industrial and clean brand image and were brainstorming ideas while sitting on a train going across country in England. 44 has always been my favourite number, and Carriage 44 just stuck since then. Where do you get the inspiration for your scents? Oliver: Most of our scents are single, pure essential oils that clearly bring out the individual scent. We feel that keeping simple and pure scents emphasizes our clean aesthetic. However, we have developed a couple of scents, which are some of our most popular – No 1 (our signature), Mud and Urban Garden. We developed these over long periods of time, trying to uniquely blend essential oils to create scents that would appeal to both Men and Women. Oliver: We plan on continuing to slowly develop new product lines and establish the brand through boutiques and local markets / shows. We always participate in Puces Pop, Smart Design Mart and Souk@SAT in Montreal. Why did you guys move to Montreal? Oliver: We didn’t really have a specific reason to move to Montreal. We had decided we wanted to leave London and head (back for me) to Canada and we chose Montreal. We didn’t have jobs or family here and had never visited, but it’s been working out pretty good so far! We had a baby girl in August last year. 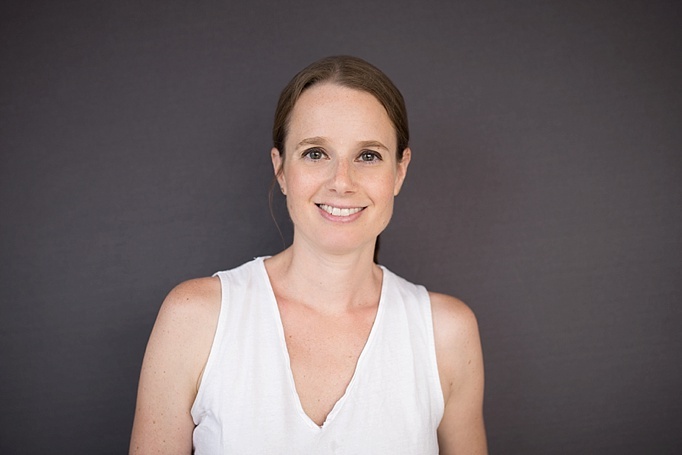 What’s it like running a family business with a small baby in tow? Hannah: Balancing the business and a family is still pretty new for us since our daughter Cotton is just 5 months old. Somedays are so satisfyingly productive and others, you just have to be ok with getting nothing accomplished!. Christmas was our biggest challenge since production started when she was just 1 month old. Oliver made the soap whilst I concentrated on candles and lip balm. He would write me a to-do list everyday to help my mommy brain having to figure it out and like I said, some days I accomplished, others I did not! Optimizing nap times is vital! Check them out online at Carriage 44. They are also sold around town. ps Carriage 44 sent me a few products to try but all opinions are my own. I have some of their Shea Butter cream and it’s amazing, especially in this super cold and dry winter weather we’ve been having. Great interview!